It’s been 20 years since I first drank a Goose Island beer—Honker’s Ale, of course—which was a bit of a bubbly bottle of salvation back when, in my town at least, there was little to talk about in the way of craft beer. It was good then and for many Goose Island bottles later, though the party packs that followed led me to Hex Nut Brown Ale as my G.I. fave. The brand set a solid standard for craft beers yet to come to Louisville, Ky., where I live, and I’m thankful for it. Unlike many who were embittered by Goose Island’s sale to Anheuser-Busch, I had no problem seeing a business maximize its return on its looooong-made investment. They made it big, sold out and so goes the American story. If one thing A-B has earned is a reputation for it’s consistency, and I figured that, plus its ability to brew on a massive scale, would do Goose Island well. Plus, I had mostly forgotten about the brand altogether over the last few years. What with the surfeit great microbrews nearly everywhere, I didn’t have to rely on Goose Island. 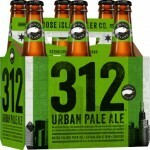 I’d had enough Honker’s to drown a goose, and 312 Urban Wheat Ale, which seemed to be as ubiquitous as water, never did much for me: so clean and crisp that it lacked flavor worthy of its siblings. So I was encouraged to see a few new offerings—its “Limited Release Series—make it to market, beginning with the Ten Hills India Pale Ale early last winter. It was damn fine, flavorful, aromatic, a mouth-filling medium body, but not overly hopped—even hopheads seem to be over the powerfully hopped stuff—and easy drinking for a non-hophead like me. 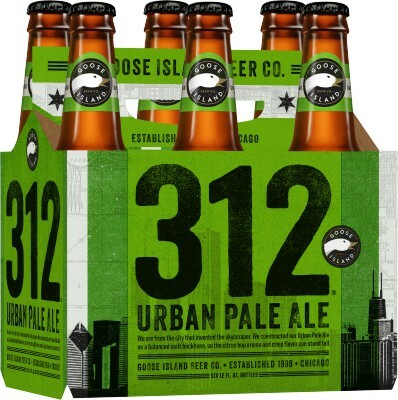 Following the IPA came two others: the 312 Urban Pale Ale (UPA) and Endless IPA (EIPA), a pair of session brews I found great for easy drinking and food pairing. Frankly, I was slow to open the UPA given my “meh” feelings toward the flagship UWA. I was, however, quite pleasantly surprised by its tighter, more uniform body that actually made its presence known in the mouth. Lightly fruity and barely hoppy, it is an easy sipper, a good choice for an evening out when you need a lower ABV (4.2%) brew. 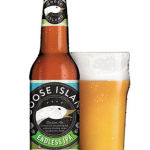 The third release, however, was my favorite of the trio: the Endless IPA. At just 5% ABV and only 35 IBUs, I wonder how it qualifies as an IPA: it’s far too soft, not terribly citrusy and too cuddly on the palate to mirror common IPAs. But style correctness be damned, frankly, if the beer is this flavorful. Lots of floral notes courtesy of hops sourced at Elk Mountain Farm (Bonners Ferry, Idaho) cloaked by a delicate, but not quite creamy head that lasted well past initial pouring. Though I tried it in March, before lawn mowing season, I must admit it almost—almost—made me want to take the Scagg around the yard to stir the dust and give this beer the post-mowing test. Incredibly refreshing and easy going on the esophagus (if I drink IPAs without food, they’re hard on ye olde gullet), I could have a few of these session brews without concern. So why all the praise for a big brand beer when I’m a microbrew fan? Easy. I travel enough to know you don’t have to go far from any good beer market to find zero good brews. To think any of these three would be on tap or in bottle at some far-flung destination on my 2014 journeys gives me no small amount of joy. 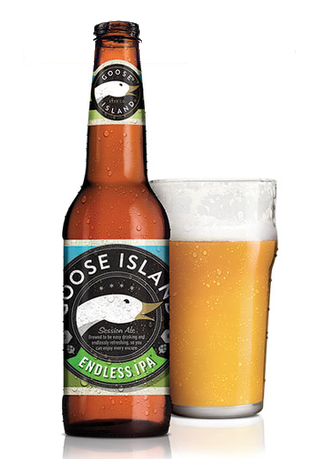 If there’s no local beer to enjoy, I can pass on the Stella, the Blue Moon, the Shocktop and any other poseur pours and happily ask for one of these Geese. If you’re looking for new beer options at local restaurants and retail outlets, here are a few I should bring to your attention. Last week’s draft intro of four offerings from Atlanta’s SweetWater Brewing sure proved people are eager for more. I’ve never seen Mellow Mushroom (St. Matthews) as packed—nearly cheek to jowl—as when it hosted a “keep the glass” night for the rollout of SweetWater’s 420 Extra Pale Ale, SweetWater Blue and SweetWater IPA. I gave up hope of interviewing a SweetWater representative there after about five minutes of encroaching deafness amid the din of the crowd. (Those walls hadn’t endured so much noise since its previous home, Dutch’s Tavern, had live music!) Bad place to conduct an interview, I thought, so I finished my SweetWater Blue and headed for a quieter haunt. Despite my old guy aversion to loud bars, there’s no denying that was one heck of a party. Luckily for me, I’d been sent press samples of the three beers to try at home. All are good, though none particularly bold. Entering a market with approachable offerings is a sensible strategy. If you like wheat beers with a unique twist, Blue is for you. It’s simple and refreshing, very light bodied and the blueberry dose is a background note, not sweet or insipid. The 420 Extra Pale Ale was my fave of the trio. A well balanced and highly reliable EPA standard I’ve had when traveling in the south. It’s really good paired with food, though just fine on its own. Lots of flavor here. 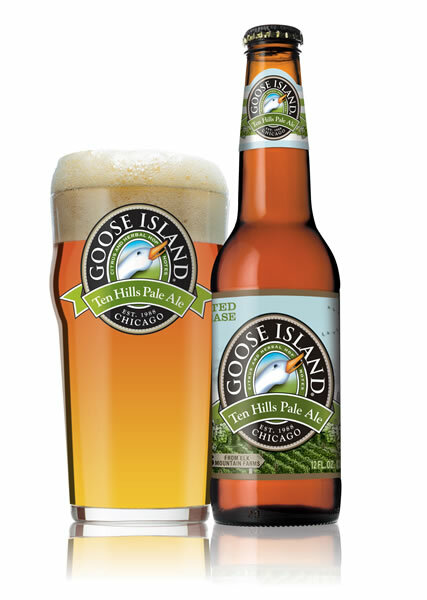 And speaking of ales, Goose Island delivered a new one to market this week: Ten Hills Pale Ale. Reportedly one of three beers in its limited release series, this one is a dandy that, while not an IPA, could fool some into thinking it is because of upfront spicy hop flavors of pine and grapefruit. But after few drinks, a seasoned palate will recognize it lacks the needling sharpness of an IPA (it’s a very manageable 48 IBU) and conclude it’s just a swell pale ale with excellent body and mouthfeel. As a longtime Goose Island fan (circa 1996), I’d say it’s as good as any of that brand’s beers I’ve had yet. Not all this Chicago brewery’s products are being produced by majority owner Anheuser-Busch, so it’s still producing some really unique and good stuff. I’m not sure what holiday spirit tastes like, but GB does a really nice job producing correct-to-style beers, so I’m sure it’s a good sipper. The brewery-restaurant will host an official party for the new beer on Dec. 5, beginning at 6 p.m.